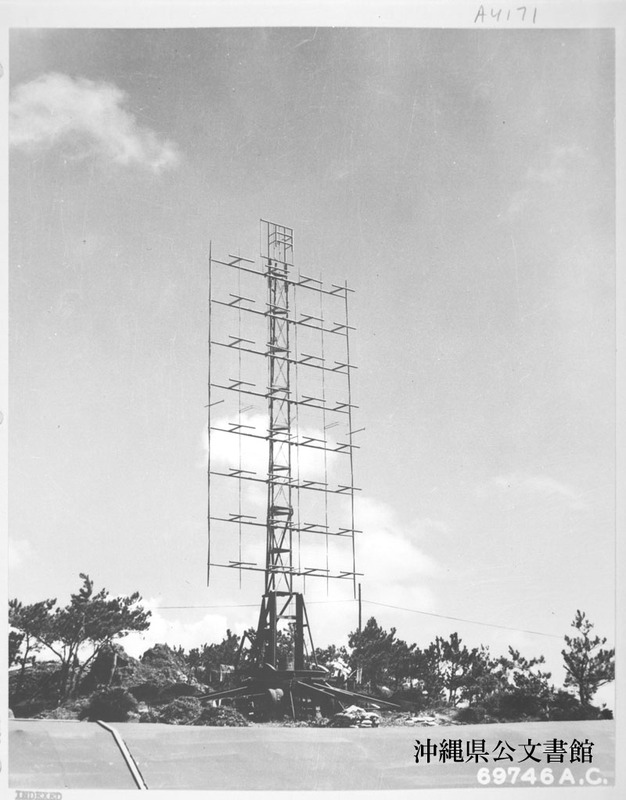 This set of SCR 270 D radar, operated by the 2nd Anti-Aircraft Artillery Battalion on Okinawa, Ryukyu Retto, had a range of 132 nautical miles. 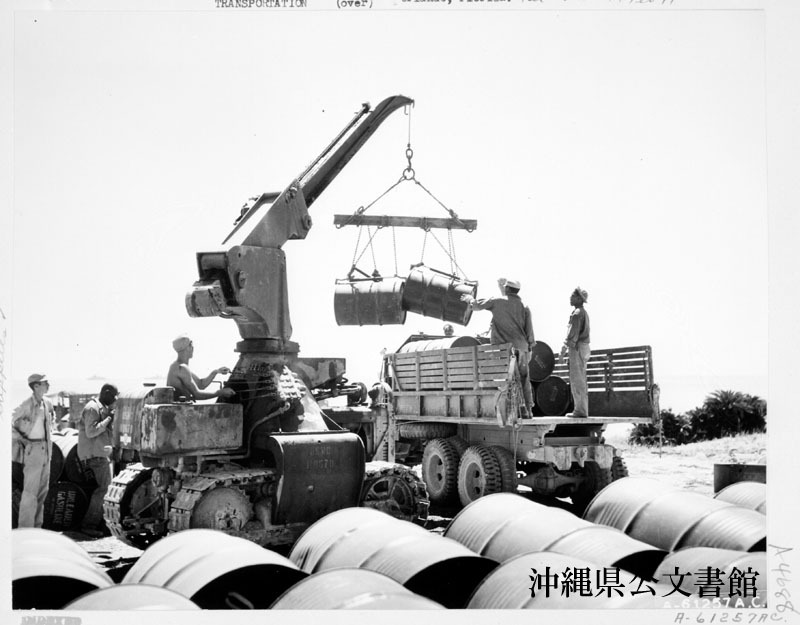 Caterpiller Crane, 12th Service Bn., being used for the first time to load drums on trucks. These cranes are caled ”Cherry-pickers”. Okinawa, Ryukyu Retto. 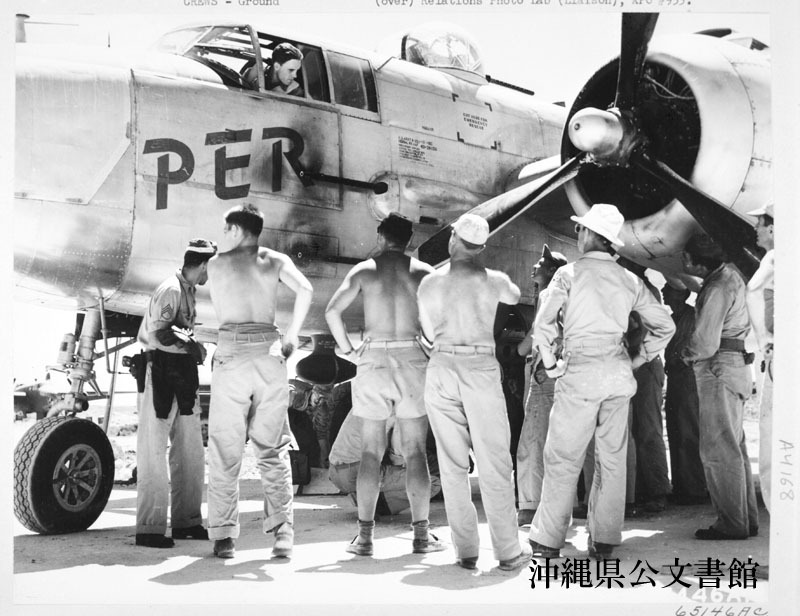 Eager ground crew men of this North American B-25 “Mitchell“ of the 41st Bomb Group anxiously await a description of the mission over an airfield on Kyushu. This was the first B-25 attack on the Japanese mainland since the daring Doolittle raid in April 1942. Okinawa, Ryukyu Retto. 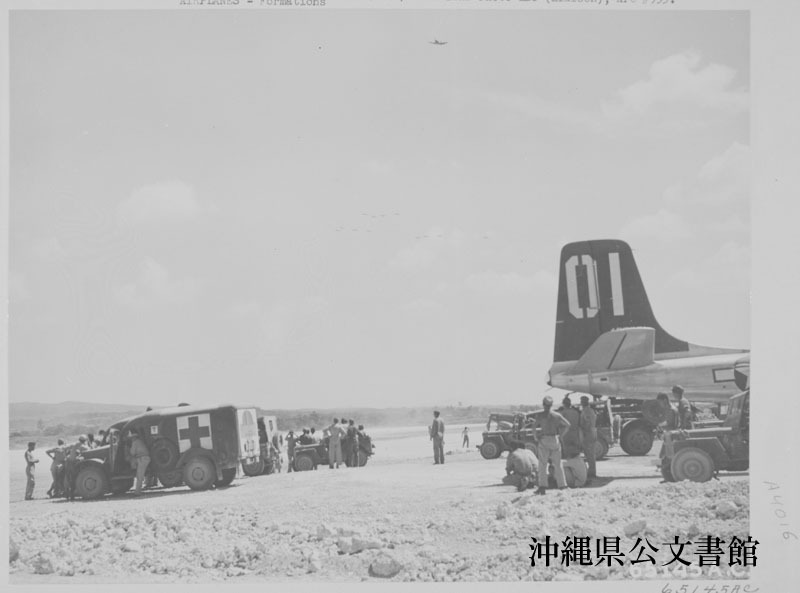 Planes returning from attack on an airfield on Kyushu approach Kadena Airfield. Twenty-four North American B-25 “Mitchells“ of the 41st Bomb Group, escorted by thirty-two Navy Corsairs, participated in the first B-25 raid over Japanese mainland since the daring Doolittle raid in April 1942. Okinawa, Ryukyu Retto. 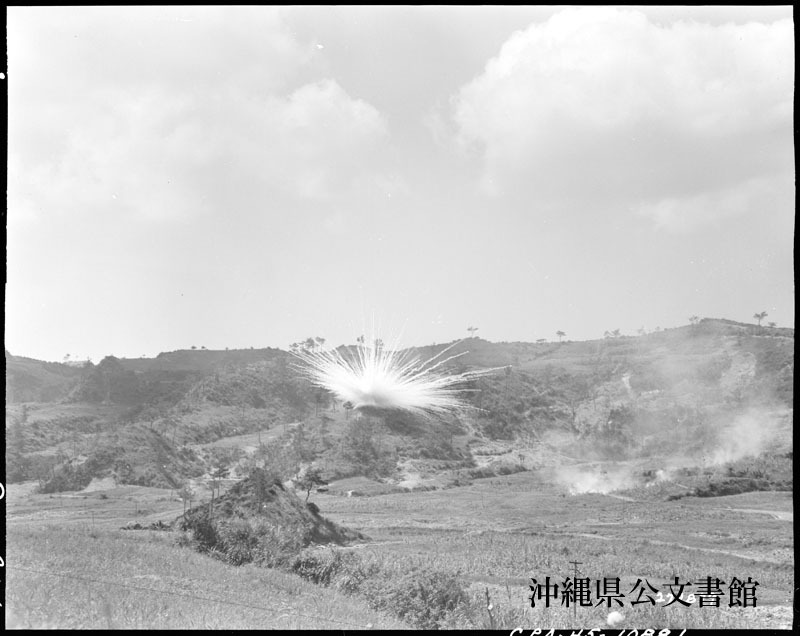 A white phosphorus bursts in a cane field during demonstration of new recoilless weapons conducted by Maj. Montgomery of the Ground Requirements Section， Infantry Branch, Army War College. 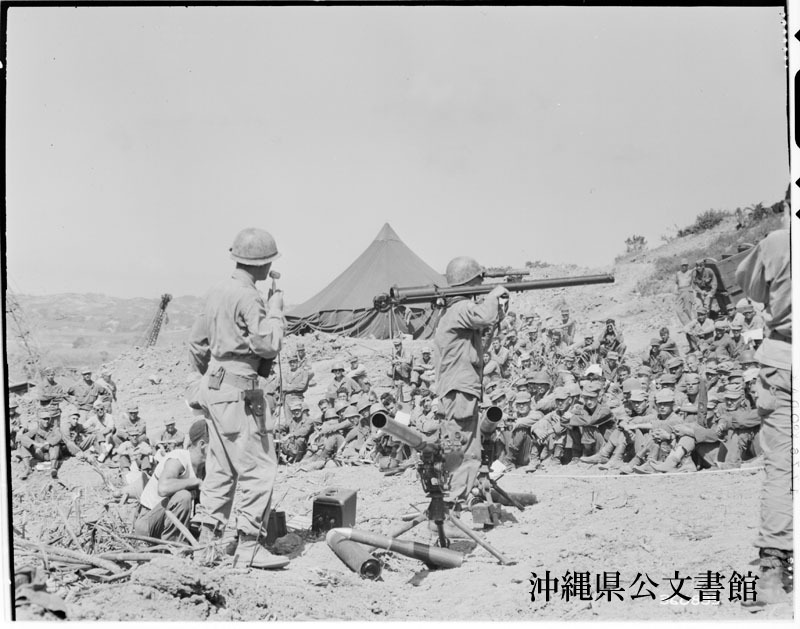 Okinawa-Guns & Weaons Recoiless Rifle 57mm. 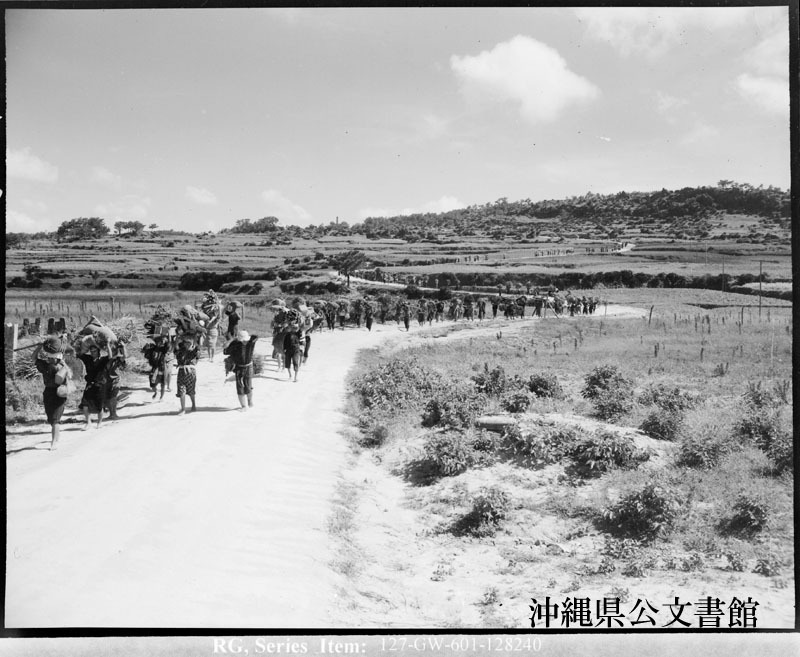 A mile long line of Okinawan men, women and children plods along a new military highway on their native island. They are moving their village, stick by stick, to a new location.